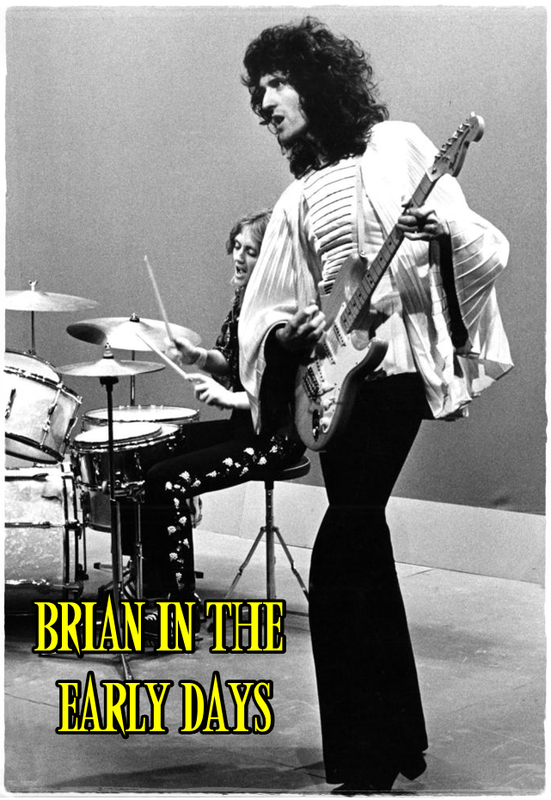 Yep, I have banged together another homage to the strummers de axe only this time Ive gone for, probably, three of my all time personal longtime favourites...Uli Jon Roth, Ritchie Blackmore and the one, the only, the marvellous Mr Brian May...hope you dig it. I first heard Uli when he was in the Scorps, the album Virgin Killers to be precise, suffice it to say I was most impressed, then he left the band and slid off my radar for a wee while, then one day I was in Sydney at Utopia and found the first Electric Sun album and Mr Roth and meself got re-aquainted. 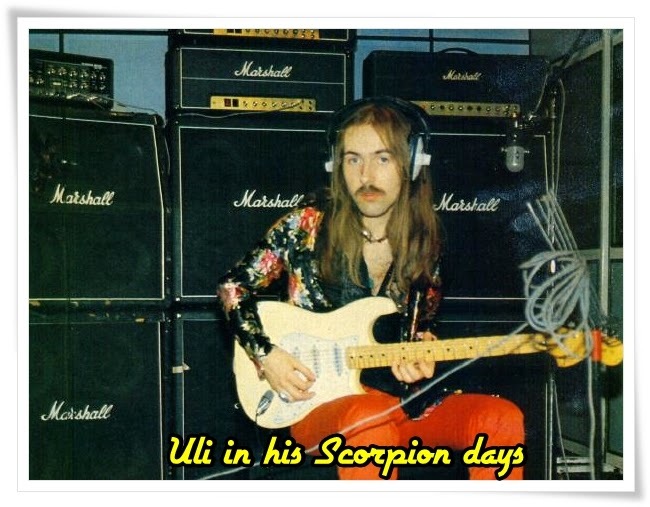 Uli Jon Roth is one of the earliest contributors to the neo-classical metal genre. He is also the founder of Sky Academy and inventor of the Sky Guitar. He is the older brother of fellow guitarist and artist Zeno Roth. During his tenure as lead guitarist, main songwriter and occasional lead singer for the Scorpions, the band released four studio albums between 1974 and 1977. In 1978, the Scorpions released the live album Tokyo Tapes, which was recorded in Japan and sold nearly one million copies and went gold in several countries. 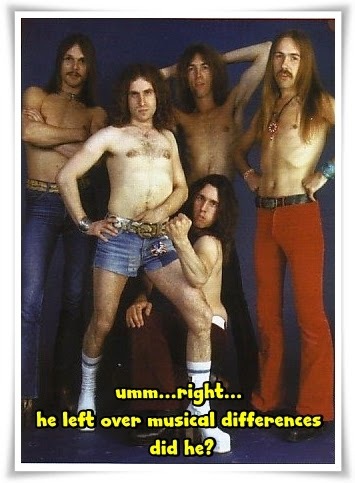 However, Roth had left the band before the album’s release. In 1985, Roth released his third and final Electric Sun album, Beyond the Astral Skies, dedicated to Martin Luther King and to Roth's fans......After Electric Sun, Roth entered a new phase of creative work, composing four symphonies and two concertos, and sometimes performing with symphony orchestras throughout Europe. 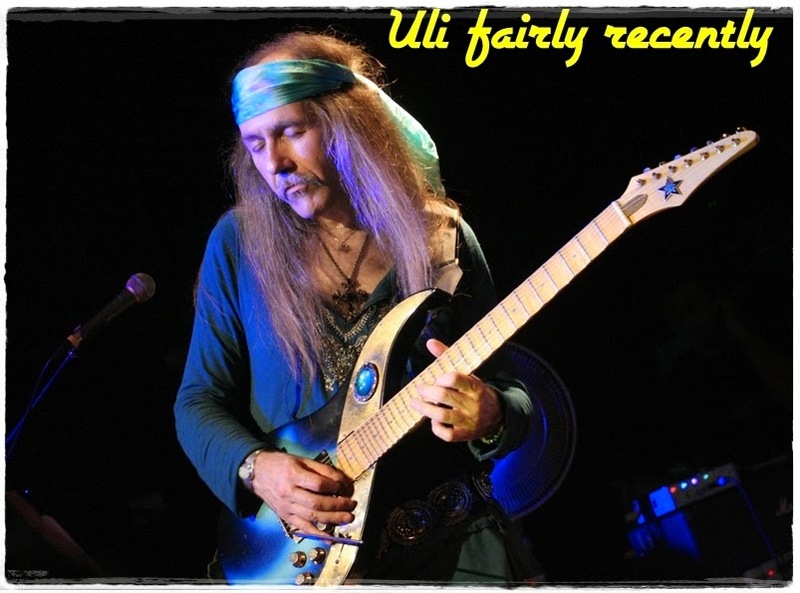 Roth used the name ‘Uli Jon Roth’ for all subsequent album releases and concert appearances. 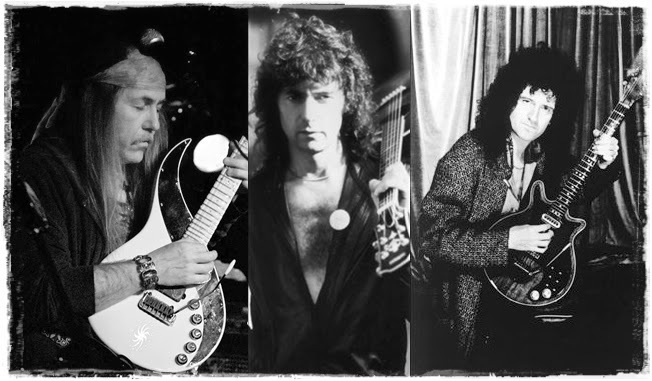 The G3 European tour of 1998 featured Roth playing with Joe Satriani and Michael Schenker. The tour show at London Wembley Arena also featured a jam with Brian May.....Roth played at the outdoor rock festival at Castle Donington in 2001 (also featuring original Scorpions lead guitarist Michael Schenker on the bill), and this was filmed and subsequently released on DVD. Roth debuted songs from "Under A Dark Sky" on 18 July 2008 in his headline set at the G-TARanaki Guitar Festival in New Zealand, Roth's debut concert in the country. In the week previous Roth had taken his "Sky Academy" tuition classes to regional Taranaki towns in Waitara, Inglewood and Opunake with guests Vernon Reid and Gilby Clarke...."Under A Dark Sky" was released in Japan on 20 August 2008 via Marquee records. The European and USA releases followed a month later on 20 September 2008 on the SPV record label. In the 1980s, Roth commissioned construction of custom guitars with additional frets from luthier Andreas Demetriou. Roth has had five of these "Sky" guitars made. To be able to emulate the high notes of a violin, all of the Sky Guitars contain extra frets. 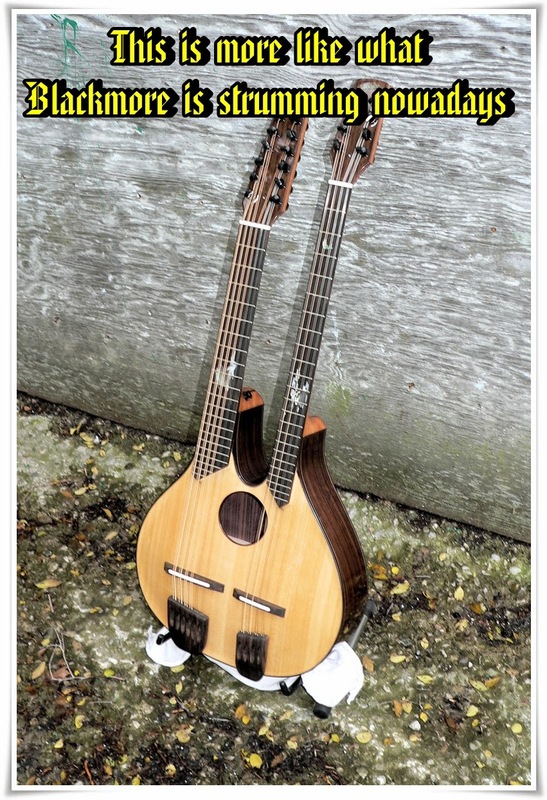 The first Sky Guitar (used on the album Beyond the Astral Skies) has 30 frets. Later versions of the Sky Guitar overcame the problem of the higher register frets becoming too narrow by widening the frets by whole steps for the highest notes. In an April 2001 Guitar Player magazine interview, Roth reports that the guitars are either fretless above the 30th fret or have whole step fret spacing above the 27th fret, with 35 effective (half step) frets. All of the Sky guitars with frets have scalloped fretboards. 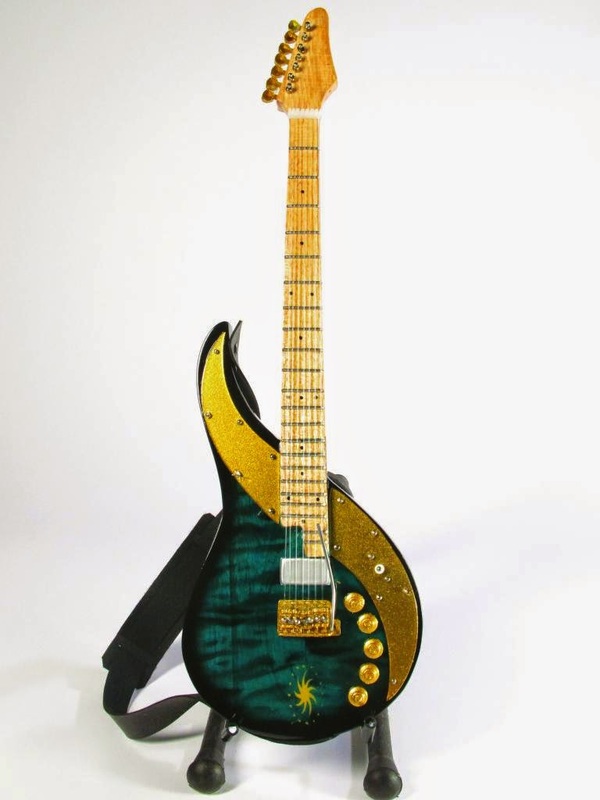 The Sky guitar's pickups are custom 4-coil humbuckers made by John Oram, with one guitar having an Oram pickup hidden under the 24th fret....Roth's preferred amplifier is currently the Framus Dragon, and he uses a stalk mounted Vibesware guitar resonator (sustainer) to introduce infinite sustain during solos. So there you go, hope that last paragraph makes sense to you. 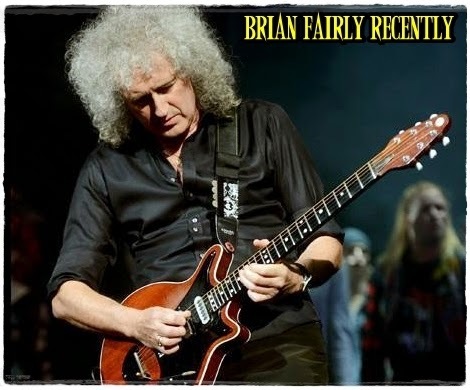 I have had the great pleasure to see the master of "The Red Special" in action a couple of times and his skills on the plank still astound me to this day. In 2005, a Planet Rock poll saw May voted the 7th greatest guitarist of all time. He was ranked at No. 26 on Rolling Stone magazine's list of the "100 Greatest Guitarists of All Time". In 2012, May was ranked the 2nd greatest guitarist of all time by a Guitar World magazine readers poll. Brian May formed the band Smile in 1968. The group included Tim Staffell as singer and bassist, and later, drummer Roger Taylor, who also went on to play for Queen. The band lasted for two years from 1968 to 1970, as Staffell left in 1970, leaving the band with a catalogue of nine songs. Smile would reunite for several songs on 22 December 1992. Taylor's band The Cross were headliners and he brought May and Staffell on to play "Earth" and "If I Were a Carpenter". May also performed several other songs that night. Throughout Queen's career May frequently wrote songs for the band and has composed many significant songs such as the worldwide hit "We Will Rock You", as well as "Tie Your Mother Down", "Who Wants to Live Forever", "Hammer to Fall", "Save Me", "Fat Bottomed Girls", "Flash", "Now I'm Here", and "I Want It All". Typically, either Freddie Mercury or May wrote the most songs on every Queen album. During a short break in 1983, May issued his first solo release, the four-track EP Star Fleet Project (which featured an all-star cast backing him -- Eddie Van Halen, REO Speedwagon drummer Alan Gratzer, and session bassist Phil Chen), and co-produced the debut recording from the obscure heavy metal outfit Heavy Pettin, titled Lettin Loose. 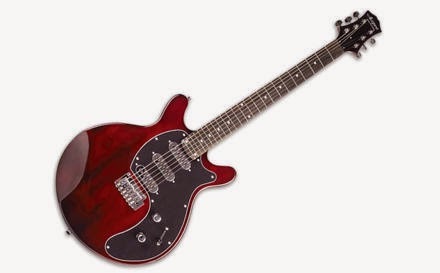 Around the same time, an exact duplicate of May's Red Special guitar was issued to the public via the Guild guitar company, and May recorded a video guitar lesson as part of the Star Licks series. May contributed to former Genesis guitarist Steve Hackett's album Feedback 86, playing guitar on the track "Cassandra" and providing guitar and vocals for "Slot Machine". 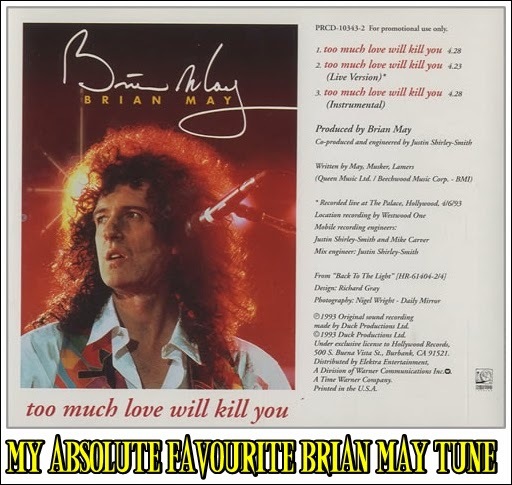 "Slot Machine" was also co-written by May.....May worked with his second wife Anita Dobson on her first album, in which she sang vocals to the EastEnders theme tune. In this form the tune became the song "Anyone Can Fall in Love".May himself produced the song, which reached No. 4 in the UK Singles Chart in August 1986. In 1989, May contributed guitar solos to the song "When Death Calls" on Black Sabbath 14th album Headless Cross, and the Living in a Box track "Blow The House Down" from the album Gatecrashing. May's first full-length solo album was preceded by the single "Driven by You," which reached the Top Ten in England and was featured in a Ford car commercial -- winning an Ivor Novello Award for Best Theme from a TV/Radio Commercial. 1993 finally saw the release of Back to the Light, an album that was a sizeable hit in Europe, and led to May's first solo tour (which included members Cozy Powell on drums, Neil Murray on bass, longtime Queen sideman Spike Edney on keyboards, Jamie Moses on guitar, plus backing vocalists Shelley Preston and Cathy Porter). A year later, a live document of the tour, Live at the Brixton Academy, was issued, mixing new solo material with Queen classics. It wasn't until 1998 that May would issue a proper studio follow-up, Another World. 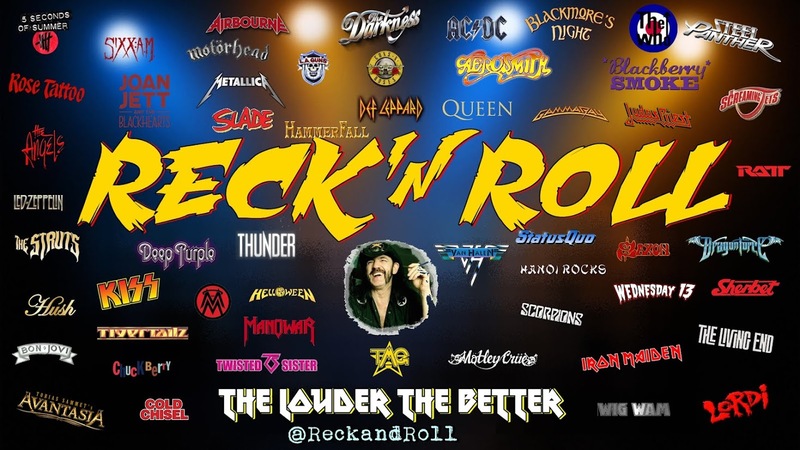 Richard Hugh "Ritchie" Blackmore began his professional career as a session musician as a member of the instrumental band The Outlaws and as a backing musician of pop singers such as Glenda Collins, Heinz, Screaming Lord Sutch and Neil Christian. Blackmore was also one of the original members of Deep Purple, playing jam-style rock music which mixed simple guitar riffs and organ sounds. During his solo career, he established a neoclassical metal band called Rainbowwhich fused baroque music influences and elements of hard rock. 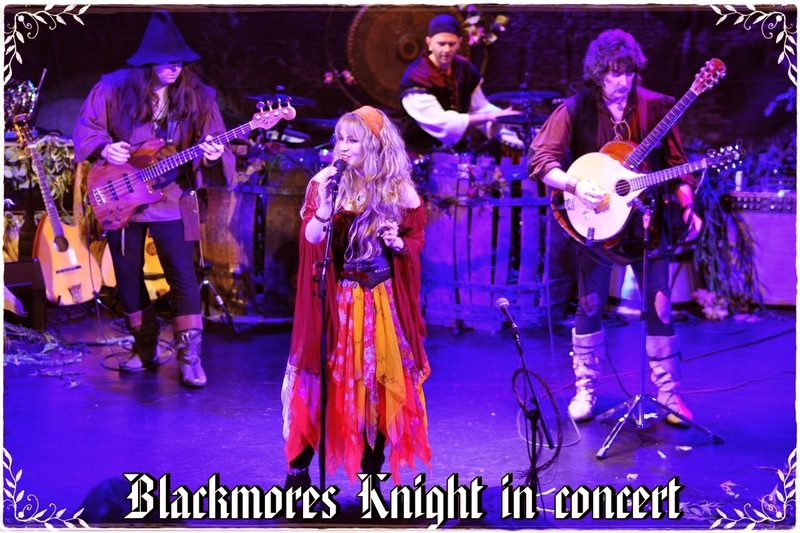 In 1997 Blackmore, with his girlfriend Candice Night as vocalist, formed the traditional folk rock duo Blackmore's Night. From about 1995, they were already working on their debut album Shadow of the Moon (1997). Blackmore once portrayed at the time their artistic characteristics as "Mike Oldfield plus Enya".Blackmore mostly used acoustic guitar, to back Night's delicate vocals. During song composition, Blackmore directly wrote her vocal melodies. Night said, "When he sings, he sings only for me, in private". As a result, his musical approach shifted to vocalist-centered sounds. They recorded a mixture of original and cover materials. The band's musical style is inspired by medieval music and it blended with Night's lyrics about love's themes. The second release, entitled Under a Violet Moon (1999) continued in the same folk-rock style, with Night's vocals remaining a prominent feature of the band's style. 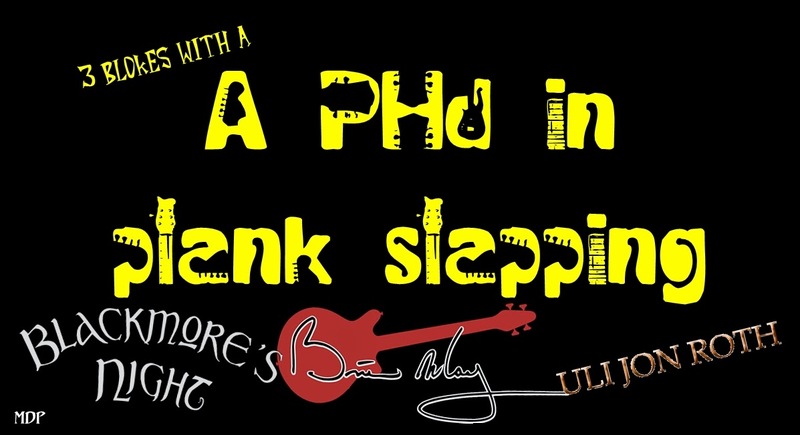 The title track's lyrics were partly written by Blackmore. "Violet" was his mother's first name and "Moon" was his grandmother's surname. He'd loved the style for years, but he never really played it himself. Once he began playing the music at home, Night would casually start singing along. This innocent, informal practice germinated in Blackmore's Night. The debut album, Shadow of the Moon, was released domestically in 1998. Jethro Tull's Ian Anderson contributes flute on "Play Minstrel Play." Under a Violet Moon followed in 1999, and since a full tour was planned, Blackmore consciously wrote more upbeat, stage-friendly music. The duo continued to release albums throughout the noughties, including 2003's Ghost of a Rose, 2006's The Village Lanterne, and 2008's Secret Voyage. In 2010, Blackmore and Night released their eighth studio album Autumn Sky. Dedicated to their newly born daughter, the album went on to reach the number 15 spot on the German album charts. Dancer and the Moon, their ninth release, appeared in 2013. In subsequent albums, particularly Fires at Midnight (2001) which featured the Bob Dylan cover "The Times They Are a Changin'", there was occasionally an increased incorporation of electric guitar into the music, whilst maintaining a folk rock direction. A live album, Past Times with Good Company was released in 2002. After the next studio album's release, an official compilation album Beyond the Sunset: The Romantic Collection was released in 2004, featuring music from the four studio albums. A Christmas-themed holiday album, Winter Carols was released in 2006. Through numerous personnel changes, the backing musicians have totalled 26 persons. They choose to avoid typical rock concert tours, instead limiting their appearances to small intimate venues. In 2011, Night said, "We have actually turned down a lot of (touring) opportunities." 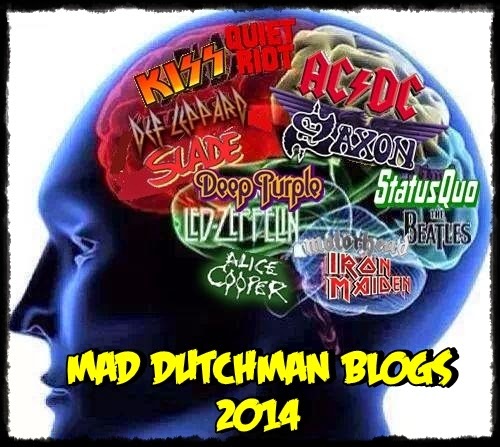 To date Ritchie and the band have released eight studio albums.